Create delicious homestyle meals with minimal effort, thanks to the Precision Stovetop Pressure Cooker. Crafted from 18/10 stainless steel, this cooker comes with four cooking programs specifically pre-programmed to ensure flawless cooking results. Compatible for use with all stovetops including induction, this pressure cooker also comes with an easy to set timer which automatically notifies you when pressure has been achieved. Arc system provides safe and easy operation when opening and closing. 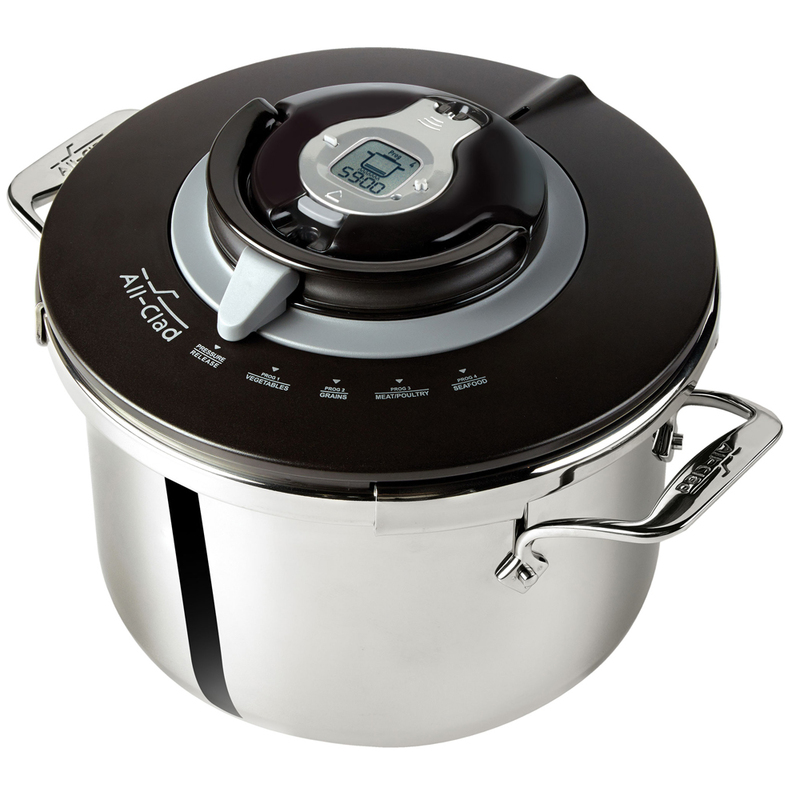 Four cooking programs, as well as an additional ‘Pressure Release’ function. Two-part cooking process optimizes flavours and texture. Easy to set smart timer automatically notifies you when pressure has been achieved and released with audible sounds. Large handles to accommodate mitts. Includes a stainless steel steamer basket. Five-point safety system for secure use. Compatible for use with all stovetops including induction. Comes with a recipe book and a quick start guide. Internal pot and steamer basket are dishwasher safe. Presented in an All-Clad box. Box Dimensions: 39cm (l) x 23.5cm (h) x 30cm (w).